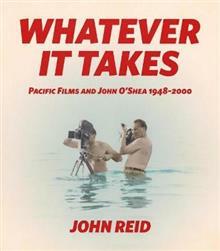 Pacific Films was founded on the belief that without locally made feature films, a country imperils its very identity. Led by its idiosyncratic producer John O'Shea, the story of Pacific Films begins at the emergence of a New Zealand national cinema in the second half of the twentieth century, when Pacific was virtually the only independent voice, beholden neither to the government nor the establishment, but determined to establish the value of its production with both. In a converted bakery in Kilbirnie, O'Shea trained and mentored emerging film talent. The principal qualification for admission? A passion for film - and acceptance of the company's employment contract: last in, first out. There was something about the insecurity of not knowing where the next job would come from that, when coupled with a demanding work ethic, generated a sense of creative collaboration. Whatever It Takes recounts the politics and process behind ground-breaking works including Broken Barrier, Runaway, Don't Let It Get You, Tangata Whenua, Leave All Fair and Ngati, and features a rollcall of cameos in Tony Williams, Kiri Te Kanawa, Howard Morrison, Barry Crump, Michael Seresin, Sam Neill and Barry Barclay, united by visionary producer John O'Shea. This is a story of entrepreneurs and dreamers, a disparate bunch bound together in pursuit of films that would define New Zealand cinema.